Hi! My name is Vicki and I am Nonlinear’s customer support coordinator. If you’ve had a support case recently, the chances are that it was me who helped you out. 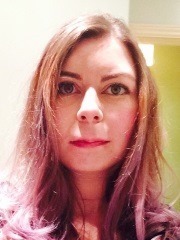 I joined Nonlinear back in April 2013, having previously worked as a technical support scientist for a medical devices company and, prior to that, graduated from the Biomedical Sciences degree course at Newcastle University. I really enjoy my role here at Nonlinear and have taken it upon myself to reinvigorate not just our one-to-one support, but also the wealth of support materials on our website. Of course, there’s always more that we can do, and more detail that we can dive into, which is one of the reasons I enjoy contributing to the blog too. When I’m not hard at work answering your questions, I love horse-riding, reading and exploring the local area and its historic properties, as well as looking after my house rabbit, Roger, and my 4 (correction: 5) domestic rats – much underrated (maligned, even!) pets.